Dense and fudgy or light and cakey kind? Yes, we love brownies. Both fudgy and cakey and ALL kinds... LOL! This well-publicised Bill Granger's basic brownies recipe can be found everywhere: in the book, Best of Bill and Bill's Basic, here and here. This recipe can be found everywhere? They must be good as I would imagine... All I wanted was to bake these brownies but I didn't know what I was expecting. After our first bite, we were surprise! Oh... spongy brownies!!! These moist and chocolat-y brownies are truly unique because of their spongy texture. We can clearly differentiate that these brownies are different from others that I had previously baked at here, here, here and a lot at here. They look and taste like brownies but somehow have similar texture of a dense chocolate cake. They are neither compact nor fudgy, only SPONGY! To clarify further, what I mean about spongy is obviously not the soft and spongy sponge cakes kind of texture but spongy or springy enough to absorb any chocolate sauce, cream or melted ice cream. And, this is why the book, Best of Bill, recommends serving these brownies with warm chocolate sauce and ice cream. I have enjoyed mine with the recommended creamy chocolate sauce and they are really good! 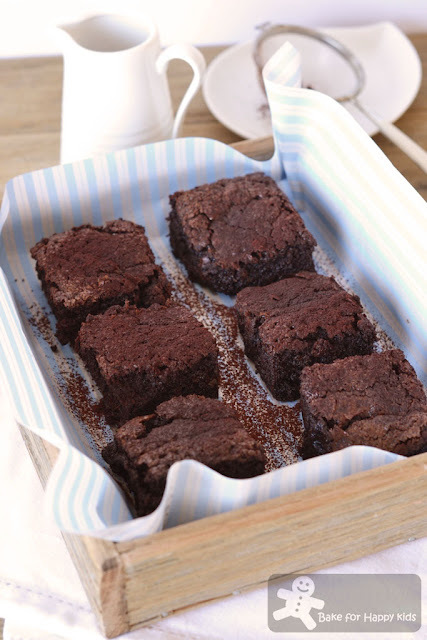 Bill Granger's Basic Chocolate Brownies... Surprisingly spongy! Oh! See the spongy pores of this brownies! 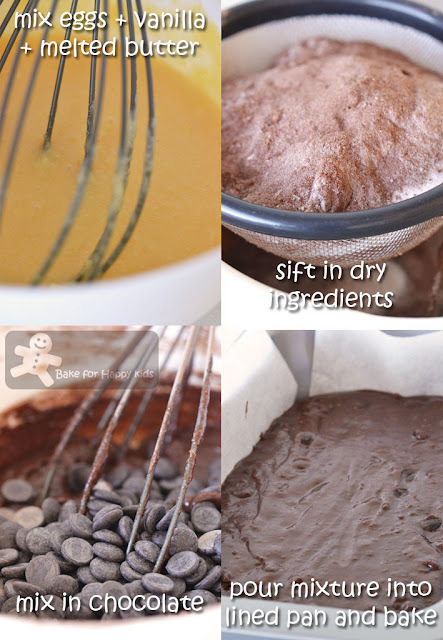 Allow the brownies block to slightly cool then cut into eight pieces. Place each on serving plate and dust with extra cocoa powder if you like, then serve with the chocolate sauce. Place chocolate and cream in a heatproof bowl and place the bowl over a saucepan of just simmering water. Whisk occasionally until a thick sauce forms. 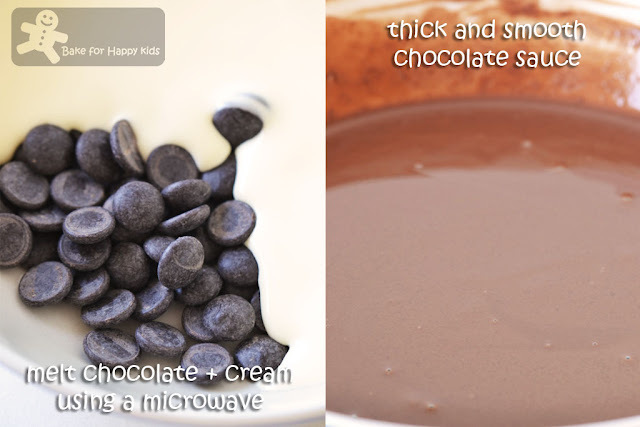 Instead of using this method, I melt both chocolate with cream in a microwave-safe bowl using a microwave. Waiting for this post.. The ingredients are pretty simple.. Have bookmarked this as well.. Will try out once my life and routine is back to normal.. G is having chicken pox now.. My life is in a mess! Huhuhu.. I don't have really good quality cocoa.. The ones here are always Van Houten.. I think that has to do..
Oh dear!!! Hope that your G is recovering well from chicken pox. These brownies look delicious! My family loves all kinds of brownies and I am sure these would delight them too. Zoe, you're really good in making chocolate cake! I can see your family is a great fan of brownies! My kids like brownies but I do not bake them often enough,.. lazy mommy! hehe! 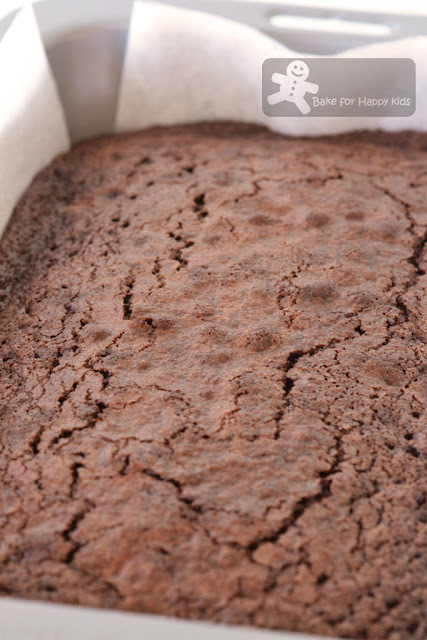 Your brownies looks very moist and I have always prefer cake-like texture brownies over fudgy ones! This is perfect! Hello, I also made ​​brownies this weekend! WOW! LOVE this decadent spongy brownies! YUM! Looks like very addictive too ! Bookmarking this recipe for sure. BTW I've baked BGranger's chocolate & coconut slice yesterday Simple recipe , yet so delicious ! I am brownie lover no.1!! and these brownies look like made for me! Ooo yes!! I m definite a brownie lover. I want the whole tray Zoe! Looks really good especially with the chocolate sauce, you do love your chocolates huh! Am ready to die for a piece of this spongy brownies with a fingerlicking warm chocolate. Oh, lordy lordy lordy. Now I have a craving for brownies! I'm definitely a dense and fudgy girl :-) These look awesome! yummm, I think I over bake my brownies maybe thats why they end up more cake like and not gooey and fudgey like these. Did you bake this brownies? 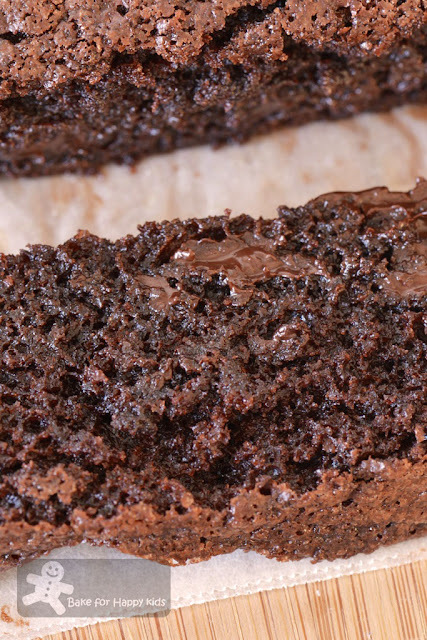 This brownies are not the gooey and fudgy kind and taste more like the denser kind of cake. from the way you described it, my curiosity level is up. Now let's see whether my lazy bug will go away soon. 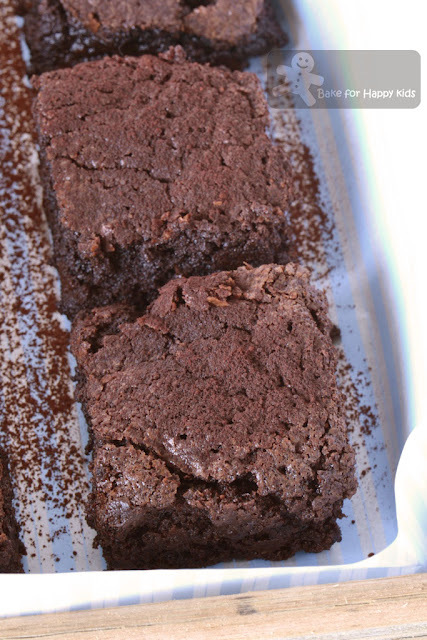 Spongy brownies, sounds great and luscious! 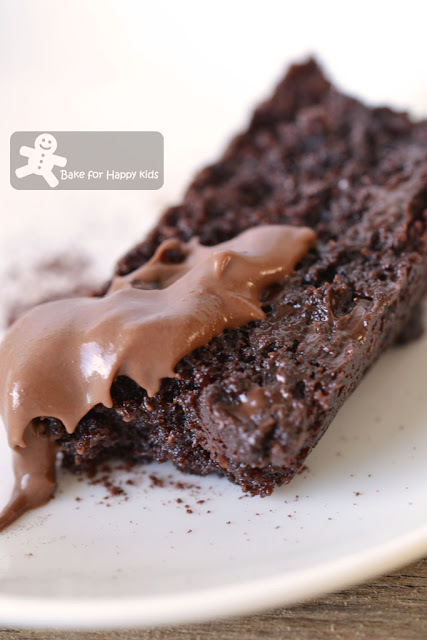 love the very chocolatey brownies like this! yummy! You have been so busy blogging while I have been busy elsewhere! These look so good, Zoe. I loved your egg tart tutorial, too. Great work! Zoe, you can be crowned as the Queen of Brownies! Yes, my hubby loves brownies(me too & make the 3rd for my son). So far only made brownies twice(made one last Sunday for a friend's gathering). You know what, I was so blur that I used the same recipe twice but now only I realised that I used the wrong quantity of chocolate but nevermind, hubby & friends still love it. Mine was fudgy type. Zoe, this is fantastic! My family will love it.